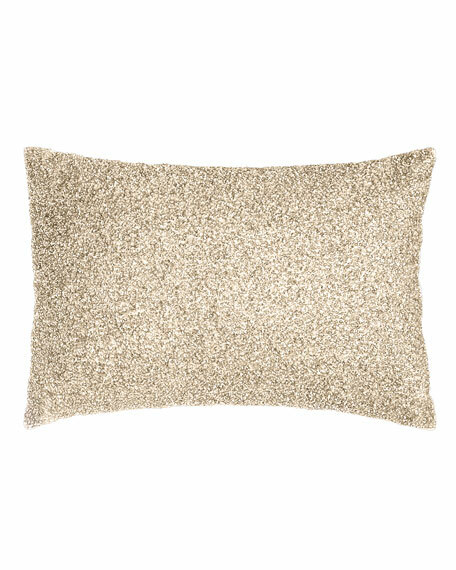 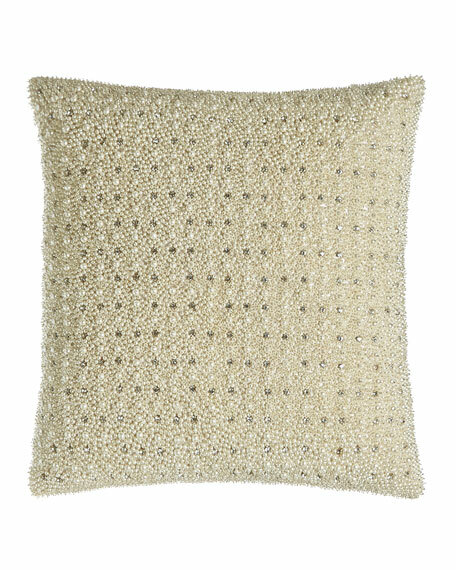 Pyar & Co. Palladium Beaded Pillow, 14" x 20"
Front is covered with a mix of sequins and beads. 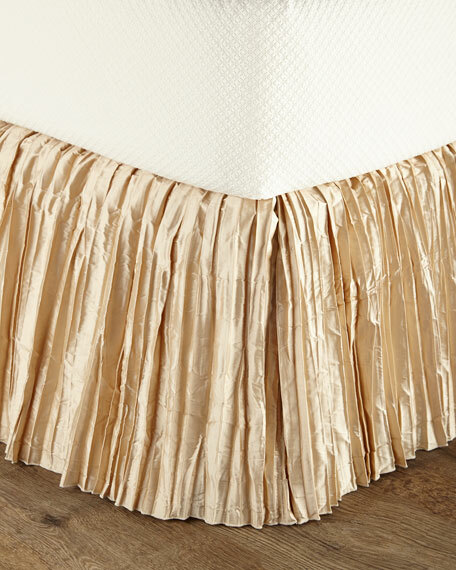 Three panels, with adjustable 18" drop. 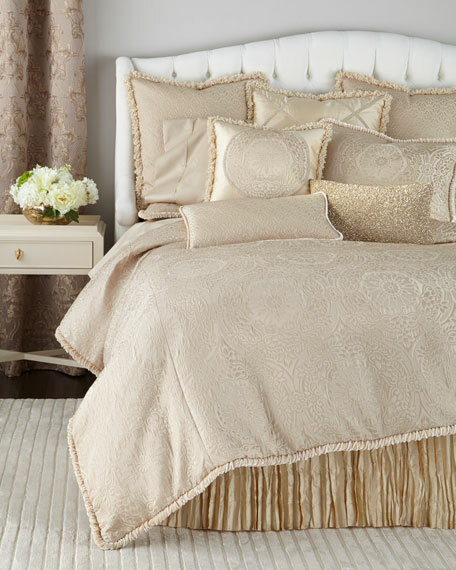 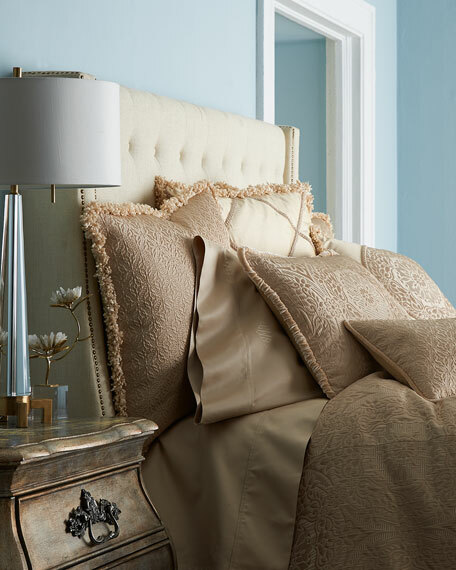 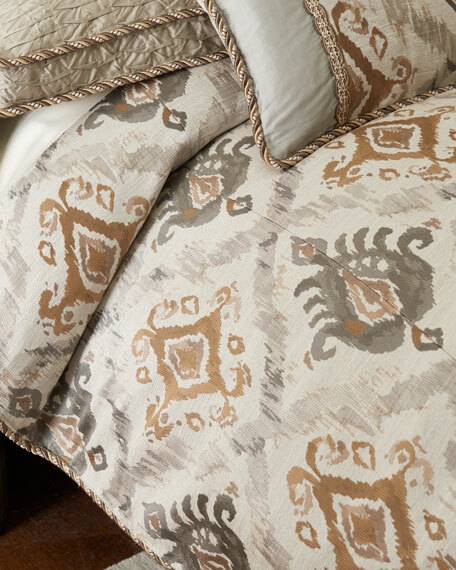 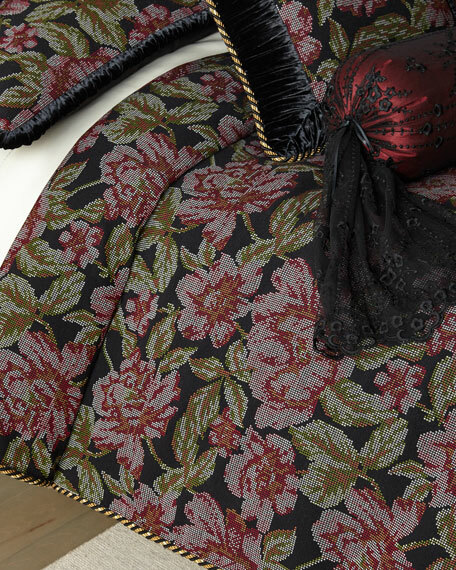 Antonia Pillow with Damask Center, 20"Sq.